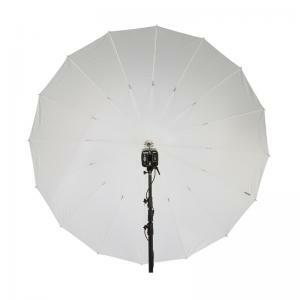 White PLM™ Umbrellas can be used as a shoot-through, diffused light source, or a soft, bounced light source. 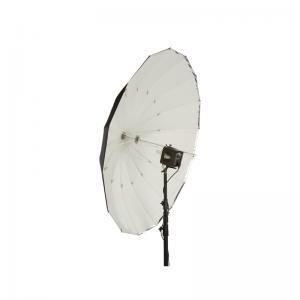 Providing a wide, unfocused spread of light, and covering a 150° area, the White PLM™ Umbrella is great for close, low specularity lighting with large round catch lights and very soft shadows. The output and light quality is comparable to octaboxes with various accessory fabrics available for spill and lens flare control (see the Optional PLM™ Accessory fabrics below). 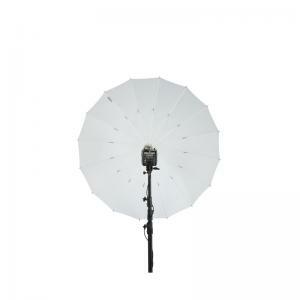 The Soft Silver PLM™ Umbrellas are perfect for everyday use with various subjects. 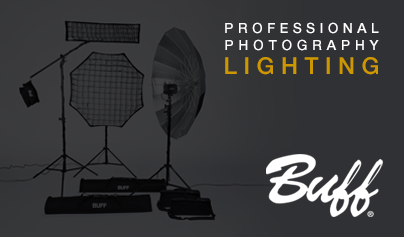 It bounces the light from the flash unit while retaining high efficiency with a wide angle of coverage. 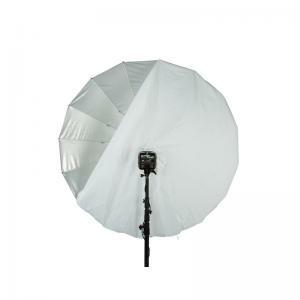 The soft silver fabric produces a controlled, feathered falloff with very soft shadows, perfectly round catchlights, and an added specular punch over the white PLM™ umbrellas. 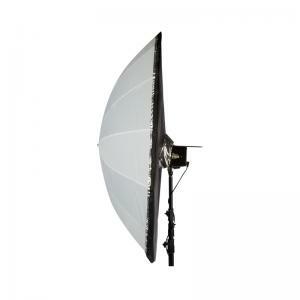 The area of coverage is more narrow than that of the white PLM™ umbrella, but the optional white front diffusion fabric opens up the beam spread providing a superior bounced light octabox effect with even surface lighting. (see the white front diffusion fabric in the Optional PLM Accessory fabrics below). 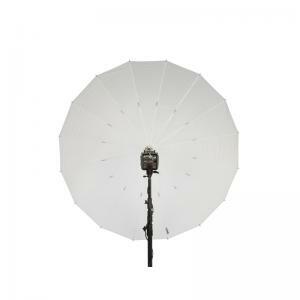 Optional PLM™ Accessory Fabrics add additional ways to use your PLM™ Umbrellas. 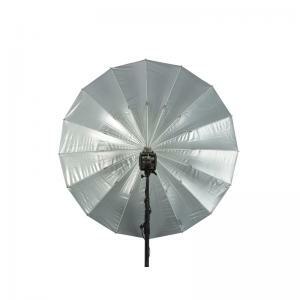 Please note that the Black Outer Cover and Black Front Spill Kill Fabric are not for use with the Soft Silver PLM™ Umbrellas. 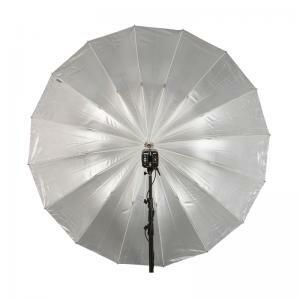 Provides a wide, unfocused spread of light covering a 150° area. Produces a controlled, feathered falloff with very soft shadows. Spreads and diffuses the light. Produces a 180° Japanese Lantern style light source.